SeaWorld Parks & Entertainment announced on November 3 the formation of Deep Blue Creative, a new team designed to harness and drive innovation and creativity within the company. 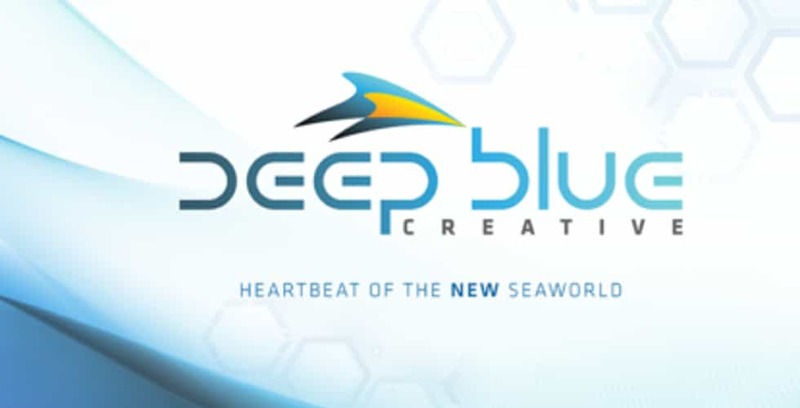 Bringing together talent from both inside and outside the organization, the six divisions of Deep Blue Creative is intended to work on innovative new experiences that will affect every aspect of SeaWorld’s business. 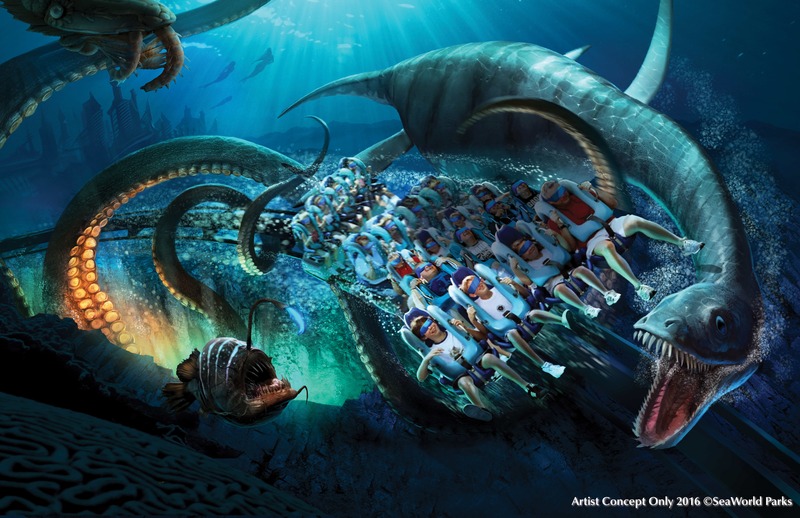 Kraken Virtual Reality (VR) at SeaWorld Orlando: SeaWorld introduces the company’s first digitally enhanced ride experience – and the only virtual reality (VR) experience in Florida – coming summer 2017. SeaWorld Orlando’s Kraken roller coaster will be transformed into a VR coaster experience, taking riders on a mission alongside sea creatures inspired by extinct and legendary animals of the past. A custom digital overlay with headsets fully integrated into the coaster train lets guests experience Kraken like never before. Wave Breaker: The Rescue Coaster at SeaWorld San Antonio: Wave Breaker: The Rescue Coaster will debut at SeaWorld San Antonio in summer 2017. The unique jet ski-style car design engages riders in a straddled seating position, combining the adrenaline rush of an ocean animal rescue with thrill of a roller coaster and will be the first of its find in North America. Inspired by the Emmy award-winning program, Sea Rescue, the coaster enables riders to feel what it’s like to race alongside SeaWorld’s heroic animal care team and veterinarians as they spring into action at a moment’s notice to help rescue animals in distress. Electric Ocean: Electric Ocean will debut next summer at SeaWorld Orlando and SeaWorld San Diego as a brand new, end-of-day spectacle event. As the sun goes down, the lights and energy go up, offering guests a different kind of fun after dark. The ocean comes to life with bioluminescent lighting, music and pathway entertainment, immersing guests in a glowing sea of wonder. · Theme Park Development, U.S.A. encompasses two teams—Project Management and Guest Experiences—closely collaborating to inspire guests through innovative attractions, culinary experiences and retail environments. · Theme Park Development, Global leads the development of all theme park growth initiatives beyond the company’s existing parks, including international expansion, exploration of new business models, feasibility and site evaluation. · Resort Development is responsible for the business and creative development of resorts and hotels, unique hospitality experiences and land planning. · Events and Entertainment supports all park entertainment teams in staging live experiences for theatrical settings, as well as culinary and retail environments. This team will explore and develop new event concepts that inspire family traditions and encourage repeat visits from annual pass members and local residents. · Media Enterprises leads the company’s film, television, and music business, maximizing distribution opportunities for our brands. This team will collaborate with content creators and develop production partnerships. · Expedition X is a team focused on prototype development for innovative project concepts and new technology. This group will harness creative energy from within and outside the company and look for emerging trends and inventive ways to bring guests experiences that explore both real and amazing worlds on land and sea.